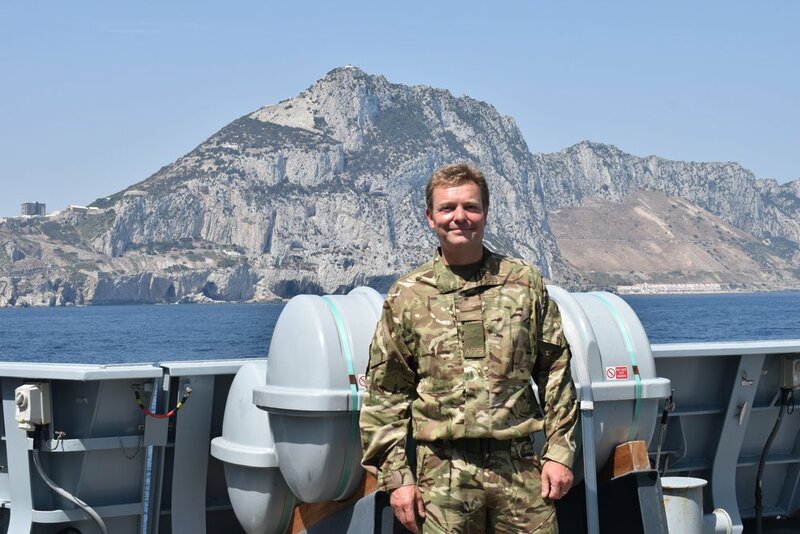 Brexit-backing local MP Craig Mackinlay last weekend visited the British Overseas Territory of Gibraltar in a display of support for the territory’s continued self-determination. The MP joined HMS Diamond, a £1billion missile destroyer, on its voyage from Portsmouth to Gibraltar where it conducted a ‘sovereignty patrol’ of British Waters. Gibraltar, the British Territory in the south of Spain has been subject to repeated demands from the Spanish Government for a surrender of sovereignty. The ship can carry 48 Aster anti-aircraft missiles, 8 Harpoon anti-ship missiles, two Phalanx rapid-fire weapons, a 4.5-inch naval gun and up to two helicopters. Upon its arrival at the British Territory cruised around the furthest reaches of British waters before entering port. Spain’s Guardia Civil vessels, one of which triggered warning shots from a Navy vessel in May, carry no fixed guns – HMS Diamond carries 11 guns and up to 56 guided missiles. Mackinlay, a Founding Member of the Brexit-backing Conservatives for Britain group, joined the ship as part of the Armed Forces Parliamentary Scheme. The scheme, run by the Ministry of Defence, gives MPs first-hand experience of the realities of modern military life. The MP was welcomed to the Rock by the commander of the British Naval base, Commodore Mike Walliker. Whilst in Gibraltar the MPs inspected the base’s military preparedness, touring the harbour. While aboard the vessel the MP was photographed handling the craft’s M134 Miniguns which fire several thousand rounds per minute as well as one of its 6 all-purpose machine guns. It is understood that he participated in live-firing exercises. Last night Mackinlay, the Conservative MP for South Thanet sent a resolute message to the Gibraltarian people declaring: “they can take it as read from my presence, that I’ve got their back.” HMS Diamond will leave Gibraltar to continue the UK’s commitment to stop arms trafficking in the Mediterranean. 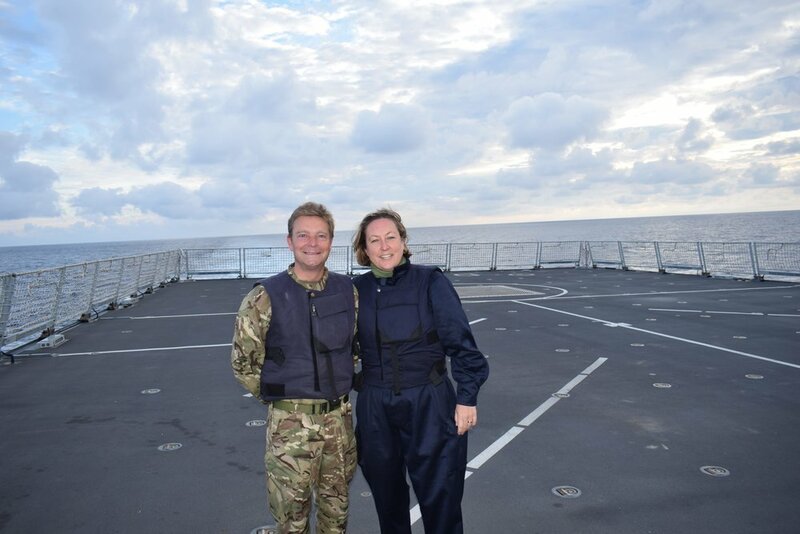 Craig Mackinlay commented: “The fantastic sailors on HMS Diamond form Britain and her dominions’ most capable line of defence. I know they send a formidable message about the might of the Royal Navy as they conduct their mission executing a sovereignty patrol of Gibraltarian waters and as part of international activities beyond. Let me tell you, having personally fired some of its weapons you would be a fool to mess with this ship. Gibraltar occupies a unique geographical location as the gateway to the Mediterranean and is fundamental to Britain’s interests; is a territory that I have visited many times and have great affection for.